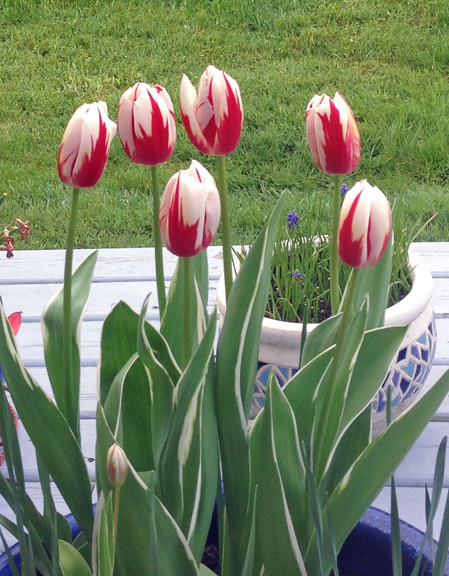 Sharing my tulips in pots with you today. Why pots? 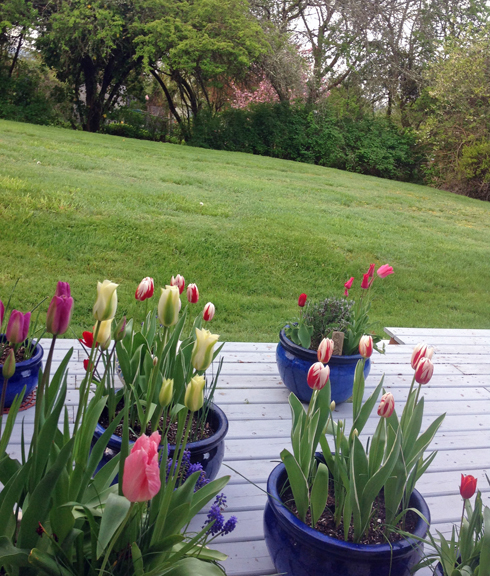 The deer will eat them, the squirrels will dig up the bulbs.....so I plant them in pots on my deck, surround them with a 'fence' over the winter and here are the results. These are Canada 150 bulbs, developed especially for Canada's 150th birthday. The red markings look like a maple leaf, just like our flag! 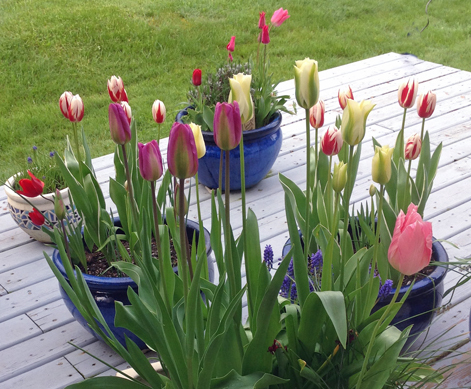 I bought all these bulbs through Botanus in Vancouver. I have had excellent results with everything I have bought from them.